Summertime is here in the Mile High City, and if you’re like many residents, you are likely already tired of the heat and sunshine. The hot season is a time of skin coverage and hydration to keep us healthy, but if you’re about to pack your home and move, the temperatures can become much more problematic. Nearly 75 percent of all moves happen between Memorial Day and Labor Day, keeping your local moving companies busy all summer long. Heat and sun exposure can both cause problems on moving day, making it important for residents across Colorado to take the time to plan their expedition accordingly. If you’re in need of commercial or residential moving services in Denver or along the Front Range, Abe Lincoln Movers is here and ready to help! 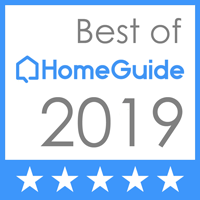 Our highly rated moving company strives to help Coloradans everywhere settle into their new homes with peace of mind, providing comprehensive quality through every stage of your move for the best results. The professional movers at Abe Lincoln are trained to work in every weather condition, but many homeowners may find themselves working too hard in too much heat. 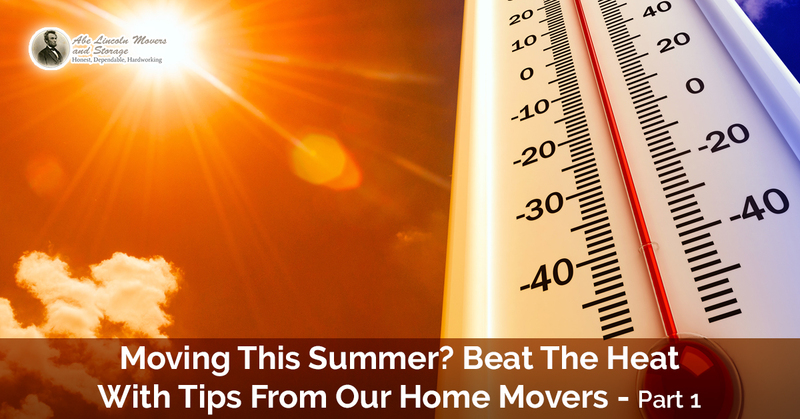 Today, we’ll begin to highlight the best tips to help you move during summertime. If moving day is coming up fast and you don’t have moving services reserved, be sure to call today! They say to dress for the job you want, and in this case, you’ll want to make moving into your new home a career. If you find yourself moving in the heat of July or August, it is especially beneficial to dress appropriately to ensure the most comfort during this physically intense time. To start, be sure to don only lightweight, breathable fabrics to help keep your skin cool. Cotton is an excellent option that you probably have on-hand. A cotton shirt will help to absorb sweat, keeping you cool in the sunlight. Ideally, these fabrics should be lightly colored, as dark-colored options absorb sunlight and increase the heat. Materials such as polyester can prove to be stifling in July, so be sure to plan your outfit accordingly! Much of the success of moving during the summer is staying cool and reducing sun exposure. If you are worried about those harmful UV rays, be sure to wear an appropriate hat. This will minimize the heat and sun on your head and shoulders, working to prevent unwanted sunburns. Sunglasses are also recommended to keep your eyes safe from the same dangers. If your forecast calls for highs in the 90s, we recommend getting your move done before the afternoon heat comes in full force. Morning time in Colorado is much cooler across the board, with temperatures now sitting in the 60s before 10am. This factor may be important for your family and your moving services, as the heat and intensity of the afternoon sun can wear on anyone! Completing your move before 11 in the morning may be impossible, so be sure to move your most intense possessions early on. Heavier, bulkier items will be handled more effectively in the morning shade. As your body heats up, it will begin to sweat to regulate your temperature. This mammalian advantage is useful in many scenarios, but when it comes to moving in the summertime, expect to pour a lot of sweat. Even minor movements, such as packing a box or taping it, can result in serious perspiration. One study found that 75 percent of Americans fall short of the daily 10 cups of H2O recommended by the Institute of Medicine. If you consider how prevalent dehydration is, it should be easy to see why moving in the summertime necessitates A LOT of water. Be sure to supply cold, clean drinking water to your team throughout this process. Hydration, after all, is a key component in heat regulation. Every time you stop to rest, be sure to sip on a water bottle for continual hydration. Your body will thank you! Moving during this heat can seem problematic, but you can take steps to minimize the discomfort. Next time, we’ll conclude this topic by highlighting more tips to help you manage the heat. If you’re in need of professional assistance, our residential movers in Denver are here and ready to help. Call Abe Lincoln Movers today to learn more about our moving services and to reserve your spot!